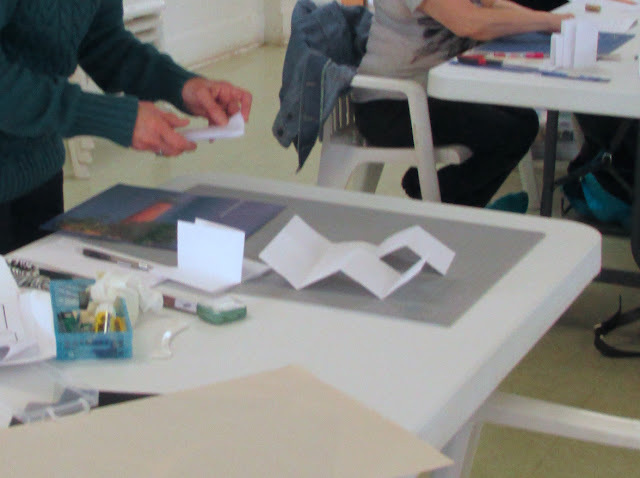 We met on April 9 for a workshop by Dolores Guffey to make structures from a single sheet of paper. These structures can be found on the internet under the names "meander", "maze", and "ox and plow". Instructions included diagrams with various cutting patterns along with project pages from the October 2015 and September 2014 utilizing the maze and meander structures. We were even given a tip from the compendium on how to divide without measuring. Most of the books were made without need for measuring. These are the samples that Dolores provided. We started by folding our pages to create grids. Then, using the grid, we cut the cutting. The last step is to fold the pages. 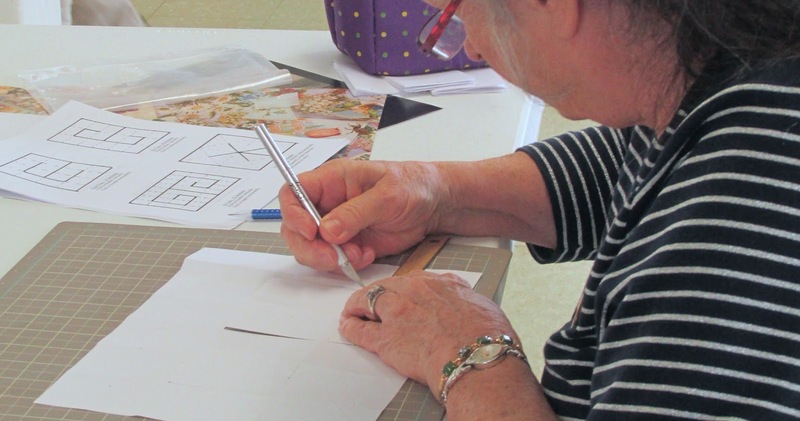 Take another look at Dolores' samples to see how one sheet of paper can be made into so many different shapes and sizes. 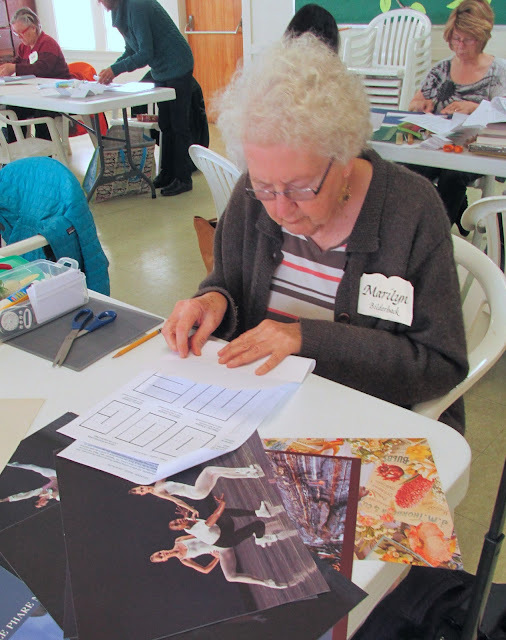 The Bainbridge Island Museum of Art (BIMA) has a small but growing Permanent Art Collection. While their main focus is on contemporary works from the Puget Sound Region and includes various media such as painting, printmaking, photography, sculpture, ceramics, glass, wood, fiber, and jewelry art, one upstairs room is dedicated to book art that is curated by and from the collection of BIMA Founder Cynthia Sears. The current exhibit began in February and closes June 5. 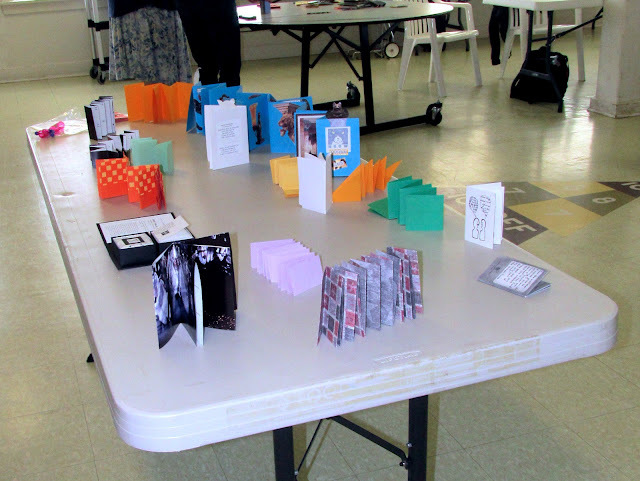 It is titled: Artists Books: Chapter 7 - Form and Content. As reported on the website, "In Artist's Books, form and content are closely--often inextricably--bound. It is not just the content that provides the meaning of the piece, it is everything else as well! The structure may be as much a part of the story as whatever text or image is used. Another way of thinking about this is: what you say and how you say it are the same thing. Cases are often an integral part of the book, the first step in the viewing process. 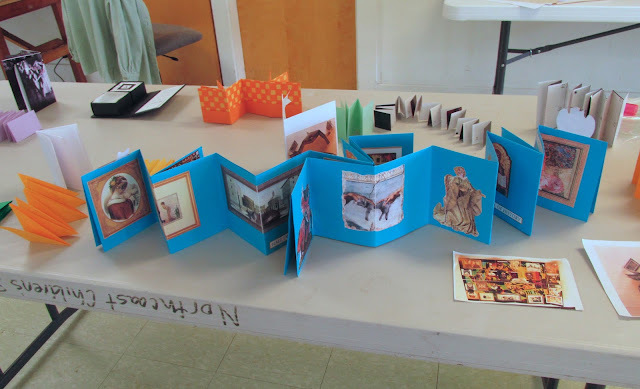 The books are frequently mixed-media, composed of many steps and processes. They are meant to be experienced--touched and interacted with--to get the entire "story". More than any other form of contemporary art, artist's books are valued purely on the strength of the content, structure and message--not on the name or fame of an artist. They are therefore considered by many to be the friendliest and most democratic subset of contemporary art." If you are ever in the Seattle area I recommend a visit to this wonderful museum. It is open daily from 10 a.m. to 6 p.m. and general admission is free. The museum is located at 550 Winslow Way E. just across from the ferry terminal so it is very convenient for walk-on passengers who take the 30 minute ferry ride from Seattle. For more information about the museum and exhibits go to: www.biartmuseum.org. Here are some photos from the current exhibit.